There always seems to be lots of crows and ravens around at the end of summer, finishing off the remains of those creatures who have not survived the blazing heat and drought – a very important job that we don’t appreciate as much as we should. 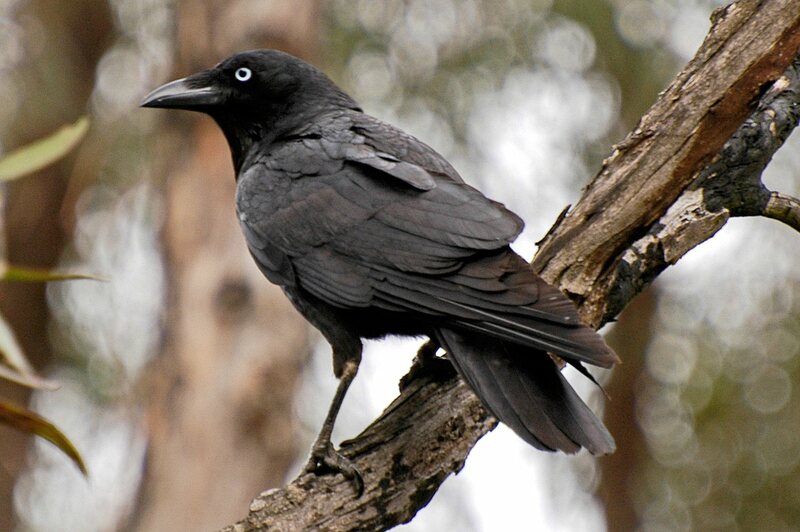 This put me in mind to write about a name connected to these highly intelligent birds, who feature in many mythologies, for as carrion birds, they are often seen as harbingers of death, with mysterious knowledge of the afterlife. Brân the Blessed is a heroic figure from Welsh mythology; a giant, probable god, and High King of Britain. Legends tell of how he travelled to Ireland with a host of warriors in order to rescue his sister Branwen, who was being mistreated by her husband, an Irish king. The battle was brutal, and only seven men from the rescue party survived: Branwen herself died of a broken heart. Brân was mortally wounded in the foot, and told his men to cut off his head, so that it could be returned to Britain. They took the head to “White Hill”, thought to be where the Tower of London now stands. The head was buried there, facing France, because as long as it remained, Britain would be protected from invasion. King Arthur later dug the head up, declaring that only his strength was needed to protect the land. This was seen as a disastrous decision, because when Arthur had gone, the land was invaded by the Saxons. Brân is connected to many figures from British legend. He is seen as a forerunner to King Arthur as High King of Britain, and many have noted his similarity to the mysterious Fisher King of Arthurian legend, who is sometimes identified as a man named Bron. The Fisher King had a wounded leg, and in some tales, the Grail he possessed had the power to restore the fallen – a parallel with Brân, who had a cauldron that could bring warriors back to life. Some stories report that Percivalfound a severed head in the Fisher King’s castle instead of the Grail. Others scholars see Brân as connected to the Irish hero Bran mac Febail, who embarked on a journey to the Otherworld, and when he returned, so many years had passed that the Irish people know him only as a legend. After telling his story, he sailed away across the sea, never to return. The tale was an apparent inspiration for the Voyage of Saint Brendan, a legendary quest the saint undertook to the Isle of the Blessed, or Saint Brendan’s Isle. Although this may not immediately remind you of Brân the Blessed, in British legends, a voyage to Ireland (in the west) is often an allegory for a journey to the Otherworld – and Brân did die there. The severed head of Brân the Blessed is important, because some believe the human head played a significant role in Celtic religion. Greek historians tell how Celtic warriors could cut off the heads of their enemies in battle, and that these heads would be embalmed and placed on display. Archeologists theorise that ownership of a head gave one power over the dead person, or that the head was venerated as the seat of the soul and a symbol of the Otherworld. The head of Brân the Blessed possessed powers of mystical protection, and some connect this to the ravens in the Tower of London, because the name Brân means “crow, raven” in Welsh. There are seven ravens at the Tower, and according to tradition, they protect the Crown and the Tower. Superstition warns that should the ravens of the Tower be lost or fly away, the Crown will fall and Britain with it. Supposedly the ravens have been kept at the tower since the 17th century, but historical evidence points to them being a Victorian innovation, possibly a gift from an earl with links to Druidic scholarship who consciously chose them as representations of Brân the Blessed. Another theory is that they were simply pets of the 19th century Tower staff. And alas for the superstition, the Tower records show that just after World War II, there were no ravens left (an apparent crow-napping), yet the monarchy and Britain have managed to soldier on. The Welsh name Bran, from Brân, is said BRAHN, while the Irish Bran, of the same derivation and meaning, is said BRAN. The name Brendan, the saint whose legend was influenced by that of Bran mac Febail, comes from the Welsh word for “prince”. This is rather interesting, because another theory about Brân the Blessed was that his name was actually a title: to be understood as meaning The Raven in the sense of The Prince, The Chieftain (as King Arthur’s father was known as The Pendragon, head dragon or war leader). A character named Bran from contemporary fiction is Bran Stark, from George R.R. Martin’s A Song of Fire and Ice; in the television drama series A Game of Thrones, he is played by Isaac Hempstead-Wright. Despite his mythologically rich name, Bran is just short for Brandon, an English surname which comes from several places named Brandon in the United Kingdom. Most of these come from the Old English for “gorse hill”, although Brandon in Lincolnshire means “steep hill”. However, there are places in Ireland with Brandon in their name, and these are said to be connected to Saint Brendan, although they don’t seem to have contributed to the surname. The surname Brandon also exists in continental Europe, and in these cases, it may be derived from the Germanic name Brando, meaning “sword”. The English surname does seem to be older than these though, and predates the Norman Conquest. Bran is a strong, simple name from legend and literature with layers upon layers of evocative meaning and association. It has limited use in the UK, and is elsewhere almost unknown. If you are worried that it is too much like the cereal husks, you can use the Welsh pronunciation, or even the Arthurian Bron. Another possibility is the Irish surname name Brannan or Brannon, which in some cases means “son of Bran”. The girls name Branwen (sister of Bran) means “fair raven”. Bran received a respectable approval rating of 69%. 28% of people liked the name, while 20% loved it.